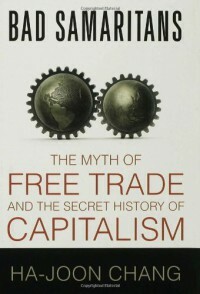 Despite an annoying writing style and some egregious typos ("the these," "casualty" for "causality" and "samller" for "smaller," among others), the substance of this book is a cogent dissection of the neo-liberal religion and the obsession with "globalization" that has brought even the giants of the developed world to the brink of economic implosion in just 30 years. 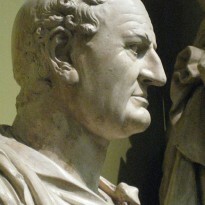 The gist of Chang's argument is that, after 150 years of avid protectionism, market intervention and lax patent protection, the developed world (the "bad Samaritans" of the title) has rigged the market to that developing nations are incapable of pursuing similar policies for long-term economic growth. They do this through what Chang describes as the "unholy trinity": the World Bank, the International Monetary Fund and the World Trade Organization. All of them work to deny countries the ability to control their economic policy, all in the name of the neo-liberal fundamentalism of Milton Friedman and his ilk. Like all fundamentalisms, neo-liberalism ignores history and reality, and it costs people their chance to improve their lives. A more rigorous, yet eminently readable account of the same subject is found in the late Jane Jacob's work, where she discusses how communities need to have the freedom to balance the interests of the market with social responsibilities to promote real, long-term growth (even if the short-term profitability of some businesses might be retarded in the interim).